It's hard to believe that Rosh Hashana is around the corner, beginning on September 4th! For years, just before the High Holidays, I'd get the Rosh Hashana books down from the shelf where I keep the special holiday books, pile the books on the couch in the kids' room, and every evening the kids and I would read a different one. Sometimes we would read the same book over and over, especially Gershon's Monster by Eric Kimmel. One sad aspect of having older kids, all teenagers now, is that I don't get to read picture books with them anymore, so sharing my favorite one here as a small consolation. 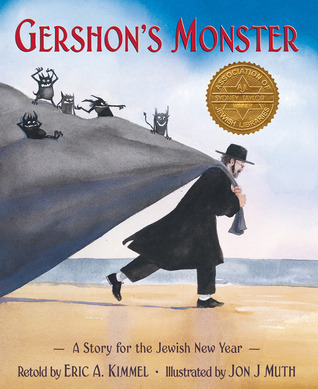 With its luminous illustrations, Gershon's Monster is a bit scary as Gershon's sins, which for many, many years he swept into the sea, eventually return to threaten him and his precious children in the form a sea monster. However, I always found that scariness fitting for the Days of Awe when Jews are reckoning with how they have conducted themselves over the past year. We're supposed to be a little in awe, a little scared, right? Plus this book has the quality of a fairy tale, and fairy tales are good at any age. 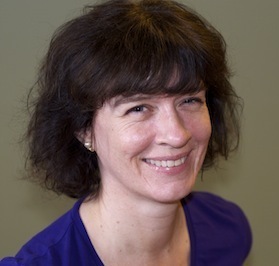 See our previous blog post for more suggestions on books for the High Holidays.